South Africa’s first career solution for creative people has arrived. South Africa’s first online career portal for the creative industries has finally launched their website to coincide with June’s Youth Month 2011. 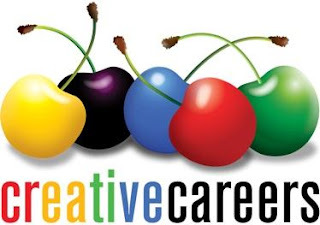 Creative Careers is the first job website that caters exclusively for the music, art, dance, entertainment, fashion and media industries. On their website job seekers can upload CV’s as well as pictures and sound clips, and they can register to receive matching job alerts via email. Recruiters will finally be able to advertise vacancies to a select group of professionals in the creative industries. There are interviews with industry professionals such as the director of Big Concerts and the manager of Nomfusi on their blog page, and the news pages contain current news surrounding South Africa’s creative sectors. In November last year Creative Careers launched a national graphic design competition in search of a unique logo. The project attracted more than a hundred submissions and deciding on a winning logo proved to be a challenge: “We received a large number of beautiful designs that incorporated symbols from the music, entertainment and art worlds, but they didn’t manage to capture the essence of all of the creative sectors that we represent. We therefore decided to go for a rather arbitrary concept in the end – cherries! They are cheerful and symbolise ‘juicy jobs’. Our logo is a memorable design that reflects our flag as well as all the different creative opportunities out there” says company director Marelize de Beurs. To add to the excitement of the launch Creative Careers is also running a competition that will award the person who can spot the most glitches on their new website with R1000 kindly sponsored by Gearhouse SA - the premier supplier of presentation and event technical equipment in Africa. Creative Careers’ website can be viewed on www.creativecareers.co.za.